Why should you buy winter gloves? Winter gloves are an essential accessory during the harsh winter months. 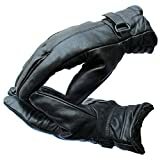 A good pair keeps your hands warm and comfortable, but more importantly, it lets you maintain dexterity, even in bitter cold. However, if you do not exercise due diligence, you may end up looking for a fresh pair within days of your purchase. In order to avoid the inconvenience, you should choose the best winter gloves. What should you consider before buying a winter glove? 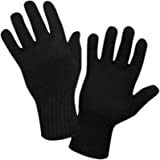 There are different types of winter gloves available on e-commerce sites. 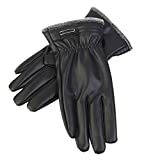 After going through thousands of reviews of winter gloves on-line, we have listed some points which will help you buy the right pair, out of the multiple options available. 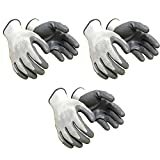 Opt for gloves with a waterproof layer: Look for gloves that have a waterproof layer--this will ensure that your hands remain warm and dry, even when you are working outside in the snow, or any time you come in contact with water. Check for sweat control material: Choose a material that minimizes sweat; synthetic fibers like propylene are more efficient at controlling excessive sweat. If you prefer natural fibers, wool is the way to go. 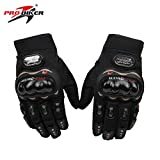 Check if you need multiple-layer gloves: If you experience sub-zero temperatures in your area, it is best to opt for multi-layer gloves that provide the best insulation in extreme weather conditions. Opt for extra padding on the tips: Look for gloves with extra protection at the seams on the fingertips. In extreme conditions, the human body stops supplying blood to the extremities to conserve energy, thereby making the tips of our fingers most vulnerable to cold. Check for ease of use: Choose a glove that is comfortable to wear, and does not restrict the movement of your hands or fingers. Check on-line reviews to see if the pair is comfortable when doing work. Ensure optimum coverage: Look for a pair that provides optimum coverage for your hands, especially if you plan to use them while working in the outdoors, or for adventure sports.